This day is for mothers and fathers of all different kinds. 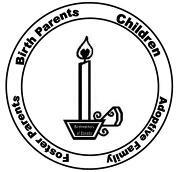 Birth, adoptive, foster, step and/or common law families. daily lives to remember birth families on this day. Remember that birthparents should be recognized on Mother’s Day. 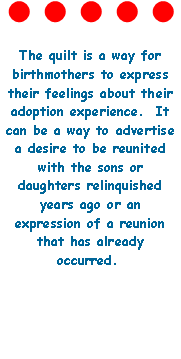 Remember that each adopted child has two loving families. a tiny voice, barely there. assure me of his existence. and told him that I loved him. I don't know where he lives now. Acknowledge the love you have for your child. Share the love you have for your child.